As a painter, Gretchen Dow Simpson is best known for her crisp, sunny close-up views of New England architecture. Over a period of 20 years, 58 of her paintings served as covers for The New Yorker magazine. AS220 has commissioned a painting from Gretchen Dow Simpson in honor of AS220’s 30th anniversary as an alternative art space in Providence, RI. 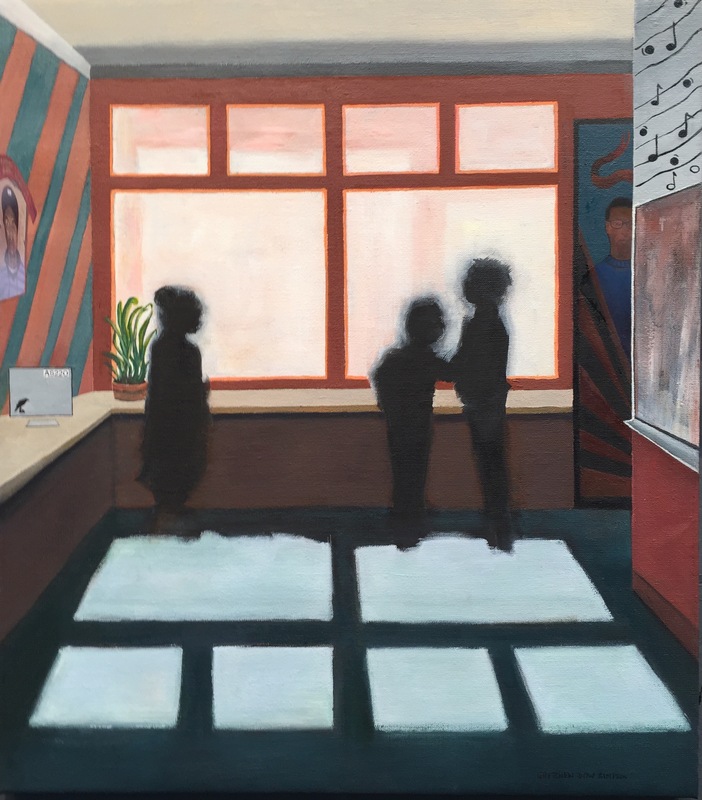 The painting -titled “Presence”- is an homage to AS220 Youth, a youth arts and empowerment program focused on beyond-risk and incarcerated youth. From this painting, AS220’s Printshop will produce a limited edition silkscreen print to fundraise for its work toward “a just world where all people can reach their full creative potential”. AS220 Galleries will host a reception and unveiling of the pieces on September 17 at our Main Gallery in 115 Empire Street. Born in Cambridge, MA, in 1939. Gretchen now lives in Providence, RI, and her studio is located in Pawtucket, RI. She attended Rhode Island School of Design, where she majored in painting. She went on to study photography and returned to painting in 1974 when The New Yorker magazine bought the first of more than 50 paintings that were used on the covers of the magazine. Since 1995, she has been showing work throughout in New York City, Maine and Rhode Island. Simpson has a flair for focusing on doors, windows, or sections of walls that allow limited-perspective views into, out of, or beyond a building. An emphasis on the solid geometry of the buildings as well as the planar geometry of surface decoration is further enlivened by the strong contrasts of light and shadow. 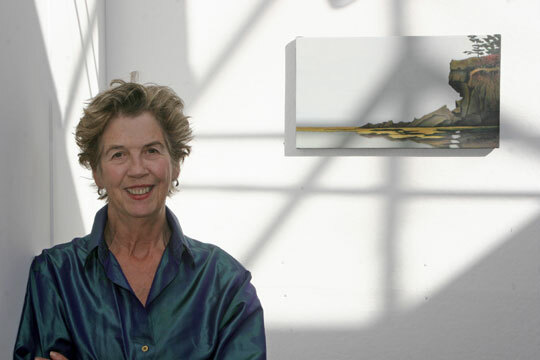 Gretchen is a recipient of the prestigious Pell Award For Excellence in the Arts and an Honorary Doctorate from Bryant University, Gretchen is a member of the Art League of RI and a driving force behind the Pawtucket Arts Collaborative. In 2012, Gretchen was asked to create an image for a 1300 sq. foot wall along Rt 95 in Pawtucket, RI. One of several murals as part of Governor Lincoln Chafee’s Gateway Beautification program in Rhode Island, initiated with the goal of enhancing tourism and the state’s history as a cultural heritage destination. Created by Rhode Island artists recognized nationally and internationally for their work, the murals are located on cement walls along the RI highways. “Presence” by Gretchen Dow Simpson 2015. Limited edition silkscreen prints will be available soon via the AS220 Printshop.